It was time for a change. The EMR Adoption Model that had long been the gold standard for measuring utilization was in need of a revamp to more accurately reflect where health systems are in their digitization journeys, and where they need to be. And so, HIMSS Analytics took a close look at the criteria and made several adjustments, while also adding models focused on other critical areas such as infrastructure, mobility, and collaboration. One thing that has remained consistent through all the changes HIMSS Analytics has gone through (including the recent acquisition of its Logic, Predict, and Analyze assets to Definitive Healthcare) is its focus on providing maturity models that serve as a “toolset” for health system leaders, says Blain Newton. 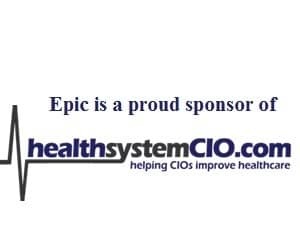 Recently, healthsystemCIO spoke with Newton about the organization’s new strategic direction, how they work to provide the guidance CIOs need, and what he believed were the key topics of discussion at the HIMSS conference. Gamble: Hi Blain, thanks so much for taking some time to speak with us. There’s a lot to talk about, but let’s start with the Definitive Healthcare acquisition, and what that means for HIMSS Analytics. Newton: HIMSS Analytics has had, for a long time, two distinct parts of the business. One is very much focused on helping provider organizations — and in particular, CIOs — understand how to adopt, implement, and leverage health and information technology to improve care through our maturity models. We’ve seen the program evolve from EMRAM to several distinct models covering outpatient EMRs, infrastructure, analytics, digital imaging, and continuity of care, and expand globally to 48 countries, which tells us there’s really a need for it in the market. The other side of the business, which we started a few years ago with a product called Logic, is focused on helping suppliers better understand where the market’s going so they can plan their strategies and their conversations with providers in a more intelligent manner. As that business started to become more commoditized, it became increasingly competitive. And so, while the Analytics product was doing quite well, we recognized we could better harness the energy and focus of the team toward accelerating the impact of the maturity models. We believe Definitive is a capable organization that can help steward the ship with the market supplier clients and deliver tremendous value to them, and we can focus our energies on the maturity model portfolio. So it was a strategic decision to move closer toward that vision of helping the provider community leverage information and technology to improve care. 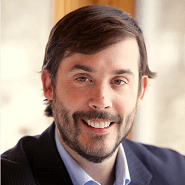 Gamble: What would you say is HIMSS Analytics’ primary focus right now? I imagine EMRAM and the other adoption models are always at the forefront. Newton: Absolutely. Historically, EMRAM has been a market leader in global frameworks and standards for adopting EMR and EMR-related technology. It’s used all over the world by government health authorities, by health systems, and by individual clinics to help guide decision making. That said, the days of just focusing on EMRs are long past; and as technological capabilities and data analytics capabilities accelerate, we recognize a need to expand our outlook. And so we’re focused on breaking down the silos within a system and taking a holistic view. For example, as CIO, not only do you need a strong EMR program, you need the appropriate infrastructure to support secure transmissions. You need a robust analytics program that focuses on the strategic value. You need appropriate understanding of handoffs and continuity of care. We’re not looking to change the models per se, but rather the way in which they fit together, and how that puzzle interacts with the market. We don’t want people to look at EMRAM as an end state and say, ‘I have to get to stage 7 because that’s what I’m supposed to do.’ The goal is to put these models together in such a way that the health system CIO can say, ‘here’s what we’re trying to do over the next five years.’ We want them to leverage these maturity tools as a toolset to help achieve that strategic vision. The maturity models have moved beyond simply a standard to become an active toolset that health system leaders can use to benchmark themselves against others, and help drive clinical performance. Gamble: The Infrastructure Adoption Model (INFRAM) is fairly new. Can you talk about how that came about, and what you’ve seen so far in terms of results? Newton: Absolutely. We’ve spoken with CIOs both here in the U.S. and around the world, and a common concern we heard was, ‘Look, we built our infrastructure and made a lot of those decisions in the days where EMR was our biggest concern.’ That doesn’t necessarily work anymore with the advent of digital health capabilities and the explosion of data, not to mention the ever-present and terrifying threat of hackers. Organizations need secure, scalable environments. We recognized the need to create a model that focused on these areas, and so we identified five key segments: security, mobility, transport, data center and collaboration. We’ve now piloted this at more than 20 health organizations, and it became available to the general public late last year. On average, these organizations are scoring around a 4 in terms of security, with fairly high mobility. We’re seeing infrastructure as a really important tool in helping organizations extend the value of their investments in healthcare technology. Having a secure, scalable infrastructure can support things like telehealth and data analytics. We’re seeing significant interest in filling that void. Gamble: Right. If scores are coming out at around 4, is that validation that the criteria were developed pretty well? I would think you don’t want people coming out of the gate scoring too high — you want them to be able to use that to establish goals. Newton: These models always need to be somewhat aspirational in nature — it should be what organizations aim for. We did our first major overhaul of the EMRAM model in 2018 to reflect the changes in that space. That may seem like a long time — and it was. But because of Meaningful Use and other factors, that space didn’t change as quickly as some of the others, so it didn’t really need a revamp until recently. We’re a distributed governance model; we have teams of subject matter experts to help guide us we listen to providers, market suppliers, and global healthcare leaders all over the world to give us insight into the appropriate things we should be measuring, and we coalesce them into a standard. And so from that viewpoint, we thought that coming out at around a score of 4 is about right. The industry is making progress, but still has some opportunities to get to what we think is an ideal state. Gamble: In terms of the EMRAM overhaul, what would you say were the most significant components of that? Newton: There were some rudimentary things, like taking PACS from stage 5 to stage 1. It was moving some things that have become ubiquitous down in stages, because everyone has them and it’s table stakes at this point. The biggest thing I’d say that we added were some components around data security. It’s certainly not a fully robust security framework, but it gives a nod to ensuring that you’re contemplating different levels of data security at different levels of the model. We also increased the expectations around usage of the technology; whereas historically it may have been 10 percent of providers or clinicians using the technology, in some cases it went as high as 90 percent, so we really focused on increased adoption. When the model first came, we were three years from Meaningful Use being rolled out, and we didn’t want to scare people away. But now that we’re seeing significant uptick around EHR use, especially in the U.S., we knew it was time to accelerate that. We’ll be looking for connectivity and integration with medical devices, smart functions, etc. at Stage 7 downstream, but for now we’re looking to continuously evolve the standard so that it still creates and provides for a global comparability. For example, if you’re a hospital in Singapore, you can benchmark against a hospital in the U.S., recognizing that they’ll need to be updated to stay current with trends. Gamble: Right. What about feedback — how do you go about collecting that? Newton: The nice thing about being part of HIMSS is that it’s a collaborative organization. At the annual HIMSS conference, we’re holding listening sessions to help guide us on some of our new models like the H-SIMM, which is clinically integrated supply chain. We see that as being a very significant opportunity to drive both financial and clinical improvements, and so we have several listening programs set up around that as well as INFRAM and the other models. Beyond that, we leverage what’s called the HIMSS Executive Institute which is open to executives from stage 7 hospitals as well as Davies Award winners from all over the world. Finally, we leverage our chapter networks and other events around the world to speak with leaders. So there’s not necessarily a short list of CIOs we call, but there are certainly folks we know and trust and recognize can provide value and input. At the same time, we want to be inclusive with all, so we make sure to touch on the market suppliers, large and small, and government health authorities. So it’s quite a variety of avenues we use to get input. Gamble: Speaking of the HIMSS conference, what do you think have been some of the key topics of discussion? Newton: For us, we’re talking about the recasting of the maturity models, from a siloed approach of getting to stage 7 as the end state, to one where it’s being leveraged as a strategic planning tool and a benchmarking tool to guide organizations along the path. It may be that a smaller health system in a rural area doesn’t need to reach stage 7 in all of our models to achieve their strategic goals, whether it’s due to market conditions or resource constraints, and that’s fine. Stage 7 is viewed as a center of excellence — as it should be — but there is still tremendous value in understanding how the maturity model portfolio can help organizations along their strategic journey. That’s a big area for us. Beyond that, what I’m most excited about is getting into digital health transformation and looking at ways in which we can truly drive clinical performance improvement and financial ROI improvements. We’re looking at benchmarking. The adoption models today focus on technology adoption and usage and processes that are in place — and those still need to be there. We’re starting to coalesce and listen and learn around this point that’s covered, but is really focused on adding an element of measuring and benchmarking outputs. It’s great if you’re Stage 7 EMRAM; as part of the validation process, the system needs to share with us some demonstration of clinical improvement over a period of time. But we’re planning on going deeper than that over time and getting to true clinical benchmarking to highlight global centers of excellence and be able to share best practices with organizations around the world through the HIMSS Knowledge Mobilization Platform. I’m most excited about moving toward that digital health transformation where we can start to pull in things like consumer-generated data devices and understand how that fits holistically into clinical performance, and share these learnings. By looking at your clinical and financial performance, and looking at things like workforce profiles, we believe we can help demonstrate centers of excellence based on deep clinical benchmarking. Again, that’s a ways out. It’s a vision, but it’s something we’re working toward to add a deeper level of benchmarking capabilities to our portfolio. Gamble: It’s fascinating to think about how far the industry has come, and where it’s going. One thing we always seem to hear — particularly at events like the HIMSS Conference — is the inevitable comparison between healthcare and other industries when it comes to integration. Do you think it’s unfair to make those comparisons, considering the fact that it’s patient data we’re dealing with? Newton: I do. I think healthcare certainly was a little bit in the doldrums 15 to 20 years ago, but that’s changed in the past few years. There are, of course, areas where healthcare lags a bit, but you see pockets of innovation in healthcare that you don’t see anywhere else in any other industry. But there are other areas where we have a ways to go, like clinically integrated supply chain. When the E. coli outbreak occurred with lettuce a few months ago, within a couple of days we were able to track where the infected lettuce came from. In healthcare, that level of tracking and traceability isn’t there ubiquitously, so if there’s a recall on a cardiac stent, a lot of physicians and a lot of health systems won’t be able to quickly reach out to those patients and ensure that they’re aware of the recall and are making appropriate clinical plans for them. But by connecting those supply chain mechanisms with the clinical technology and the EMR through barcoding and scanning, you can start to enable tracking to identify errors and create better feedback loops, which will improve supply chain performance. You also can start to really drive cost out of a system by reducing surgical variability; that’s an area where I think IT in particular lags behind. We can learn a lot from some of the large successful supply chain organizations that serve other industries. But when you start to look at personalized medicine and prescriptive medicine, there are some incredible innovations happening. Our sister company, Healthbox, is doing some remarkable work in standing up innovation programs within the walls of a hospital that enables clinicians and practitioners to bring the bear and to incubate the incredible ideas they’re coming up with by working in the trenches each day. They’re able to spread those innovations throughout the health system — in some cases, beyond that. You see the bright lights that shine when that level of innovation is unleashed, and it really is incredible. And so, while there are pockets where healthcare can improve, it’s so vast and so varied that I think we need to characterize it where, maybe it’s not as far along as manufacturing, but it’s far beyond anything that’s out there if you allow that innovation to flourish. Gamble: It’s fascinating. Well, I want to thank you so much for your time. You guys are doing some really interesting work, and I appreciate the opportunity to catch up. Newton: Sure thing. Thank you, Kate.